I’m a reader. I will read most any genre, but my true love is chick lit. I know, I know. Shocker, right? I love me some Jane Green, Meg Cabot, Sophie Kinsella…. 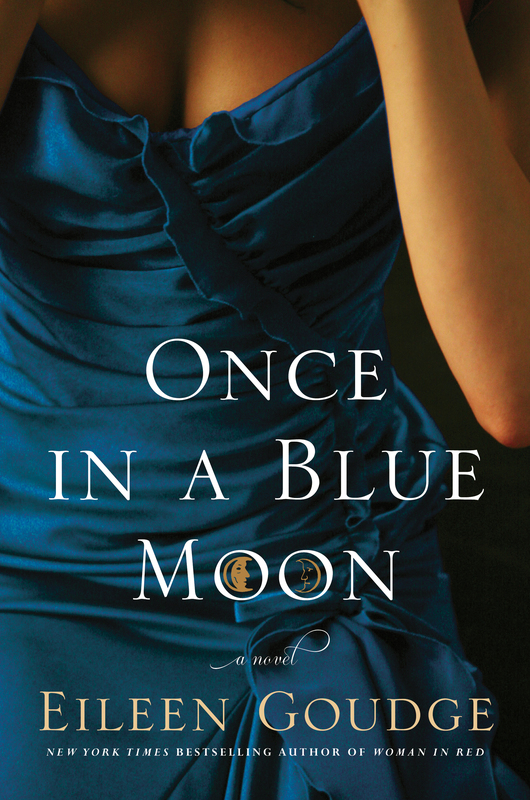 And now, after reading Once In A Blue Moon, I have added veteran writer Eileen Goudge to my “love it” list. A few weeks ago I received a book from the One2One Network so that I could read and review it. When I first got it in the mail, I really wanted this to be a book I couldn’t put down. And I have to admit this…it wasn’t. At first. With everything that I’ve had going on lately, reading has kind of taken a back seat to everything else. The only chance I would have to read would be once I laid down for bed at night. And I’d be so tired that I simply could.not.keep.eyes.open. No matter what. But I will say that, even though it took me a few days to get started, I was quickly wrapped up in the story of Lindsey and her life. I loved the contrast between Lindsey and her sister Kerri Ann. I really loved Miss Honey’s character. Ollie reminded me of a good friend from way back. Another one of those friends like I was talking about yesterday. Was is a predictable book? A little, but in a good way. Kind of like when you go to watch a chick flick at the theater. You can guess how it’s going to end, but the fun part is finding out how you get there! I already have a few of Eileen’s older books on order from amazon.com, and I can’t wait to get them in the mail!